After a vicious battle, only two gladiators remain standing in the arena. You hear the crowd chant your name. Today everyone will remember the name Hanniball the Cannonball. Even though your health is low, you are confident, you are a fearless ball of sharp-toothed rage. Your opponent plays Spikes, Spikes Everywhere to try and eliminate you in one shot. Unfortunately for them, you have I’m Rubber, You’re Glue already set as a trap. In one fell blow, you crush their last hope for victory. In King of the Creepies you and 5 other combatants must fight to earn Victory Crystals. Smash your foes with powerful attacks. Subvert them with sneaky tricks. Make others fight for you with bribes they just can’t refuse. Spend your winnings on Gear and Abilities to help you become the ultimate warrior. 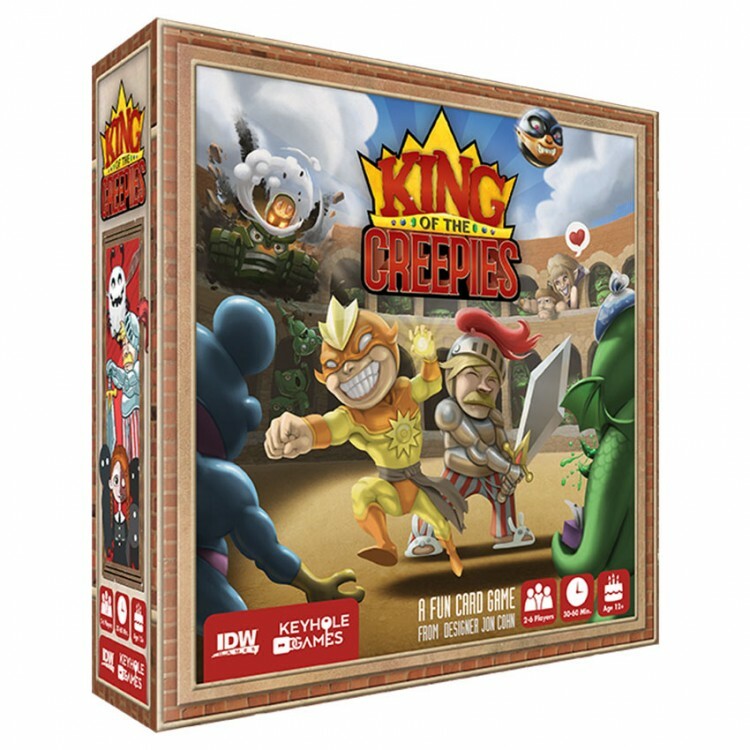 Gamble, Fight, and Bribe your way to claim the title of King of the Creepies!